World Menopause Day is an international observance held on October 18 every year. It was initiated by the International Menopause Society, a UK based non-commercial organization that was created in 1978 during the second Menopause Convention that took place in Jerusalem, Israel. Menopause, also known as climacteric, is the time in most women’s lives when menstruation stops, and they are no longer fertile. It typically occurs between 49 and 52 years of age. It is caused by a decrease in progesterone and estrogen production by the ovaries. Menopause is typically a natural physiological change, unless it is caused by hysterectomy (surgical removal of the uterus), surgical removal of the ovaries, some types of chemotherapy, or other artificial causes. Nevertheless, natural menopause is often accompanied by unpleasant symptoms, such as hot flashes, night sweats, mood swings, poor memory, insomnia, vaginal dryness, and others. 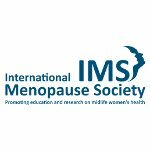 The goals of the International Menopause Society include spreading information about menopause and its symptoms and helping women cope with the transition to a new stage of life. World Menopause Day was created to promote knowledge about menopause, the impact of estrogen loss on women’s health, and ways to relieve the symptoms of menopause. Every year, it focuses on a particular aspect of women’s health related to menopause, such as cardiovascular health, perimenopausal bleeding, memory problems, vasomotor symptoms, certain types of cancer, etc.